Drew Flare shoes offer a great new look for Drew. 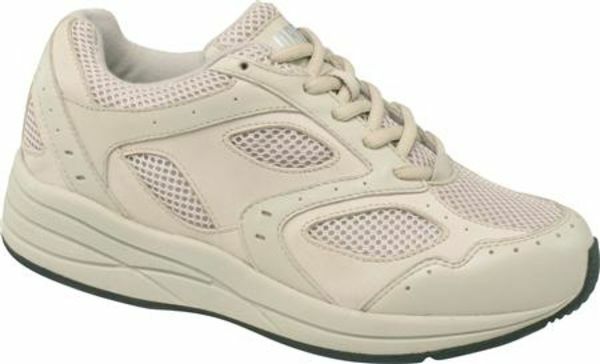 Flare shoes are one of the industry's few athletic shoes with the added depth that can accommodate prescribed orthotics. Drilex covered insoles with AEGIS anti-microbial features keep the active foot cool and dry and a built-in heel cushion pad and rocker bottom with wide shank add to he shoes's overall comfort and performance. Click to see all the Drew Flare colors. flare sneakers plenty of toe room, they are not as cushioned as store bought sneakers but they are very well constructed, they look like ordinary sneakers not the orthopedic shoes you might associate with older people. I will buy them again. Great shoe...Great service Best sneakers money can buy !!! Insoles can be removed for a custom made insole. I purchased wide and they are perfect. No more squished toes.These are my second pair and I would buy a third pair in a minute.Great service. Friendly, prompt service and great return policy ! !